Working at heights can be dangerous without the right training, and in many occupations this training is mandatory. When personnel working at heights don’t have the appropriate training, the potential legal liability for employers is huge, and there is even the possibility of facing criminal prosecution in the most serious cases. The answer to where to go to get the right training is obvious. 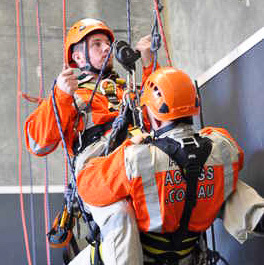 Atlas Access offers IRATA accredited training and is the best provider of a high ropes course in Sydney. Those who attend our course and complete the training will gain the necessary qualifications to enable them to work safely at heights in all kinds of conditions. For us, safety is a top priority. If you’ve never worked at heights before, you may have worries and concerns. In our training, we make sure you’re safe every step of the way, so you have nothing to fear. The aim is to give you confidence in your abilities and prepare you for a career that can be very challenging but also very rewarding. You’ll learn not only how to keep yourself safe when working in potentially dangerous situations, but also how to ensure the safety of other people, and even how to rescue people who may have gotten themselves into dangerous situations. You won’t be expected to actually do aerial work until you’re ready for it, and with our qualified and competent instructors helping you, you will have all the confidence you need to reach heights you may never have expected from yourself. Jobs requiring rope access skills usually pay well and can provide fantastic opportunities to see the world. In some jobs, you may get the opportunity to do some real good by using your skills to save people, but no matter whether you are working in a job like that or something more mainstream like window washing, you’ll have the best views in town. While at first this kind of work can potentially seem intimidating, you soon get used to the idea of working off the ground. There’s certainly no other job category that can provide as much suspense. All it really takes is understanding that provided everyone working on a rope access team knows what they are doing and why (in fact the very reason for completing the training), it is quite safe to be working in a job that many people would seriously shy away from. But the very fact that it’s a job the average person is afraid to do that makes you above average and able to earn a rewardingly comfortable salary with no shortage of employment available. To find out more, contact Atlas Access and ask about our ropes course in Sydney. We will help you reach new heights in your skills profile by challenging you to reach your whole potential in a training environment where you are fully supported by an expert team of high ropes trainers. 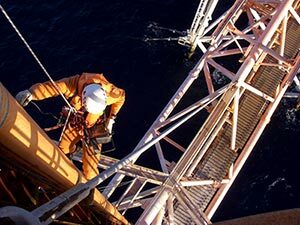 You will also be completing objectives in a systematic manner that will take you from the most basic rope access skills through to the latest and most advanced techniques. 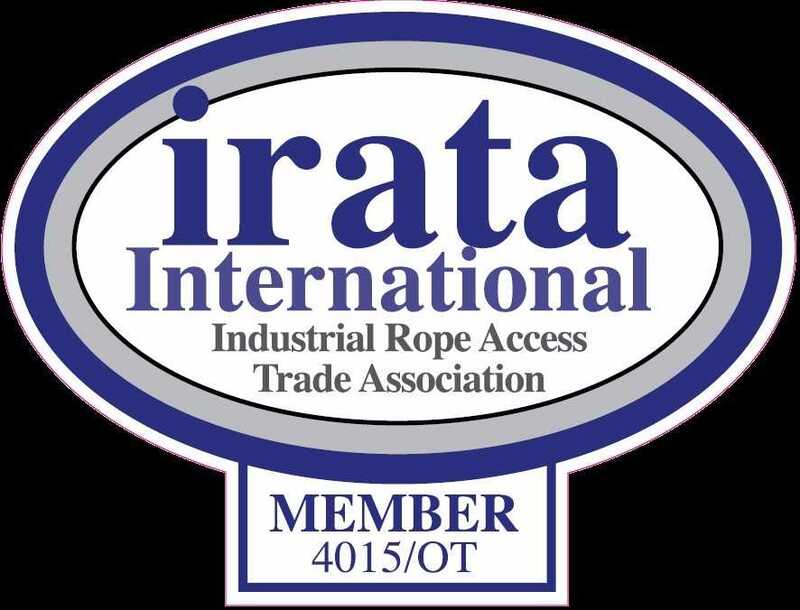 Because you are learning from genuine experts, your safety is assured, and you are also receiving the best opportunity to learn high level IRATA accredited rope access skills. Although it can be a demanding course, both physically and mentally, overcoming the challenge will give you all the confidence you need to be ready for joining the elite ranks of those who work at heights. These are jobs that not everyone will dare to do, and the fact that you’re even considering this training speaks volumes about your courage and attitude. The difference that follows completion of the training is you can get the opportunity to put those attributes to good use, while also potentially earning an exceptionally good salary. As you complete the course, you will gain new insights into workplace safety, the environmental factors that can affect your work, coping with stressful situations, and so much more. You will be the kind of person others want to have around them during an emergency. It’s possible you already stand out from the crowd, and this training is what will take you to the next level. Atlas Access provides a safe and accessible entry into the world of working aloft. Our training courses are equal opportunity, non-discriminatory courses. 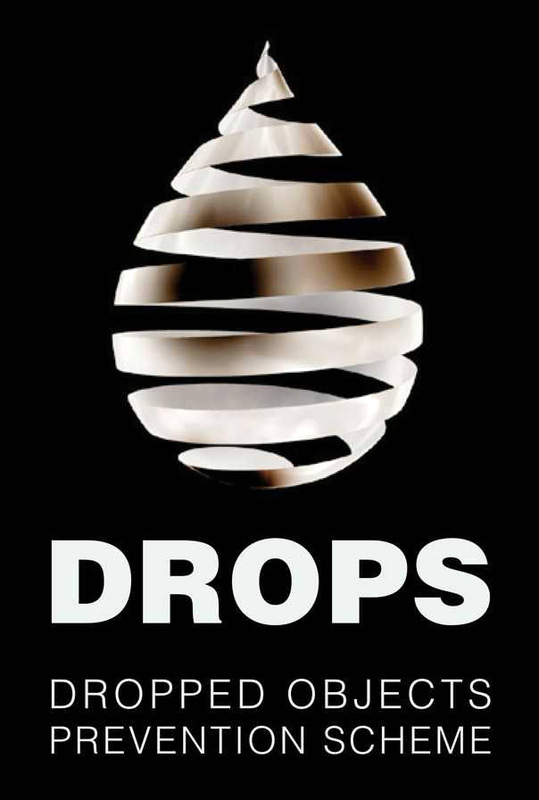 We do not discriminate against anyone on the basis of gender, sexual orientation, race, religion, age, or disability. However, because your safety is quite literally on the line, there are some physical conditions that may put you or others at risk, and therefore it may be necessary to undergo a medical examination and/or provide a letter from a medical doctor certifying that you are fit and ready to undertake an IRATA accredited high ropes training course. If you require certain medications or if you have any medical conditions that require special consideration, it is prudent to disclose these facts to your instructors prior to commencing the course. This way we can be prepared in advance to provide you with the best assistance. Those who have had previous training through military or police work will find that their training is not sufficient to meet the mandatory regulatory requirements for rope access work on civilian work sites. However, your training may qualify you for recognition under Recognition of Prior Learning (RPL) provisions. To find out your eligibility status, provide us with documentation of your previous training. This should indicate skills in rope work, working at heights, and/or safety skills training. Note that evidence of completing the training does not automatically mean you will qualify for RPL, however it is something that will be taken into consideration and you will be informed of the outcome of the decision after an appraisal and verification have been completed.